Be on top of your tasks and improve your productivity. Project management software for every team that manages projects. Implementing a sales process is the vital element for the success of any growing company. Equally vital is the sales representatives follow the process diligently without fail. But how do you track and monitor this process? The answer to this is to use a simple yet sophisticated project management tool. 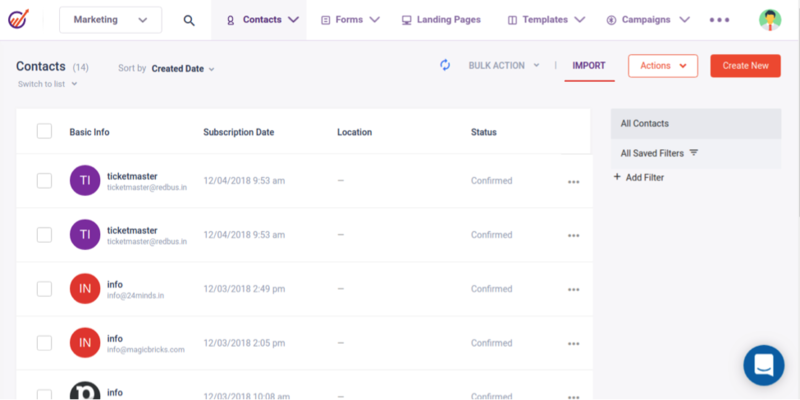 Based on your sales process, EngageBay creates tasks or makes it easy for your sales people to create tasks for various activities to advance the lead through various stages of the funnel. 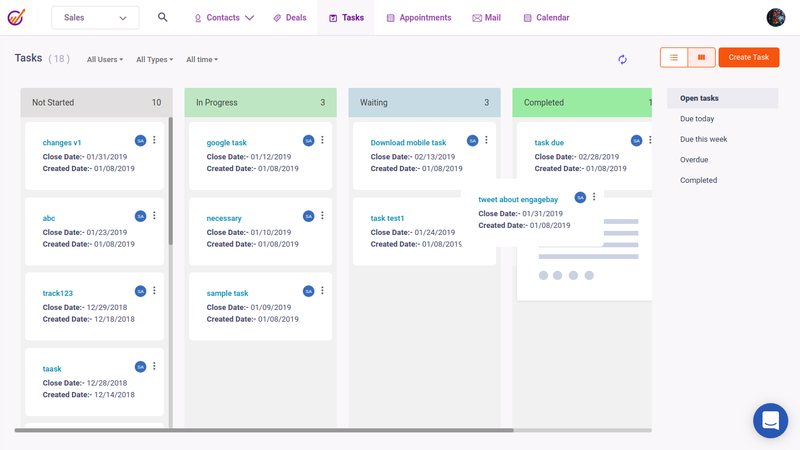 An awesome project management software also brings your sales and marketing teams into sync and ensures that the teams are aligned towards the common goals of closures, revenue and growth. It also reduces data inconsistency, miscommunication between teams and enhances the productivity among the teams. Move tasks between various sections, edit or delete tasks, and mark them as complete through EngageBay's drag-and-drop project management tool. No additional learning required. Improve your sales team's productivity by filtering based on the task due date. Focus on the most important ones using our advanced project management tool. 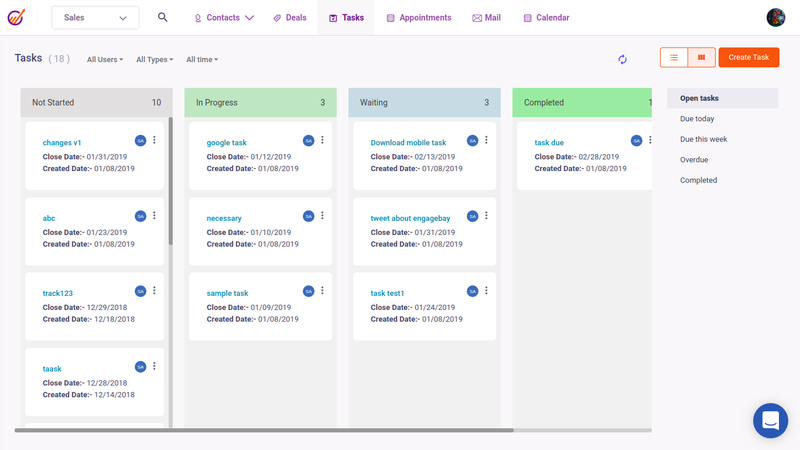 Be on top of your tasks and never miss an opportunity with our simple project management software. 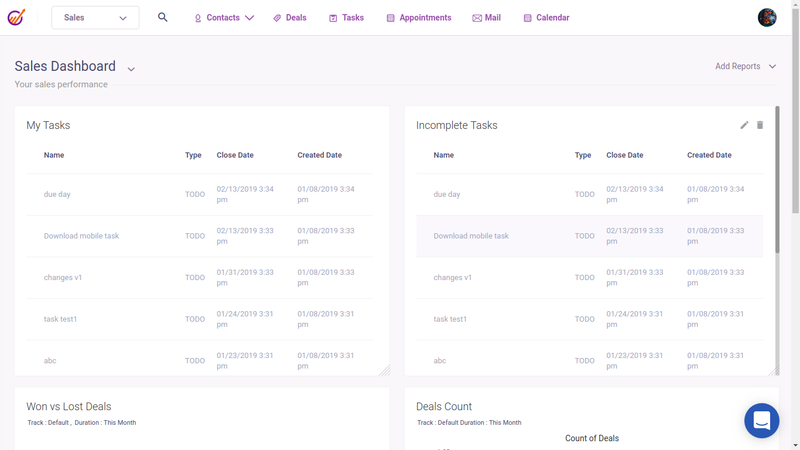 Sort and filter tasks assigned to you in a click and focus on them. Our software helps you stay focused and productive by showing only relevant tasks to you. Add notes to a task and keep everyone on the team updated with any developments on the task. Our simple project management software ensures everyone collaborates and work better. 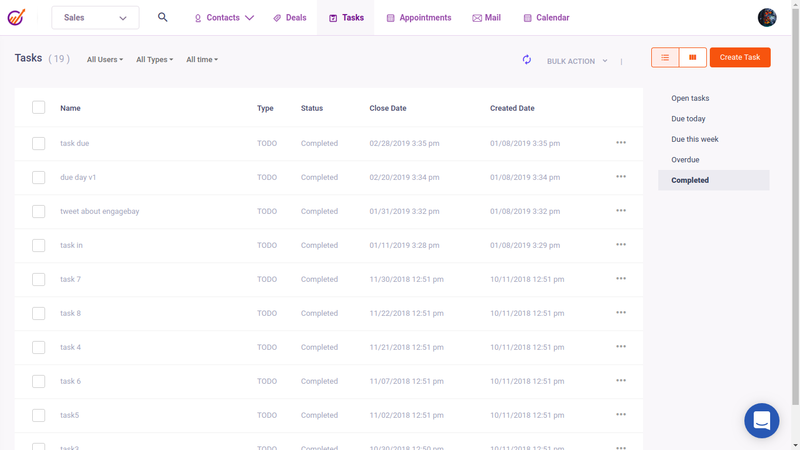 Monitor and keep track of completed tasks using the productivity report on your sales dashboard. Select a date range to filter tasks and check the status. Never miss a task using our project management software.